Spider Woven Chain is made from webbing farmed from an arachnid species named Caerostris Ingens, commonly known as the Giant Bark Spider. a single fiber is thicker than a lute string and it is almost impossible to cut. If treated properly, the strands can be used in all kinds of applications. 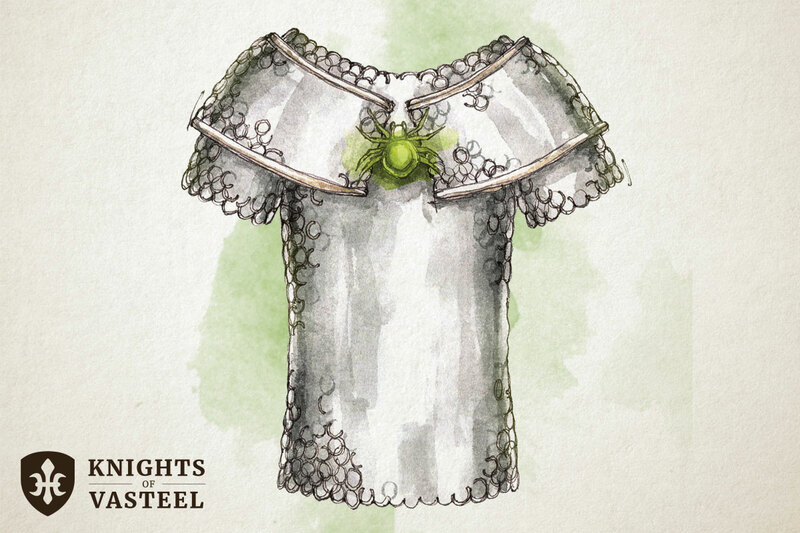 The most common uses being chains and cables, but skilled weavers have been able to craft exceptional sets of chainmail. While wearing this armor, you have resistance to Slashing damage. The lightweight material does not encumber you or give you disadvantage on Stealth Checks. Additionally, you can sense tiny vibrations in the fibers. This sense gives you advantage on Perception (Wisdom) checks. Our apologies, you must be logged in to view comments. If you'd like to become an Alpha Reader and participate in the comments, Send us an email. We are on a mission to create premium tools and accessories for tabletop RPGs. Sign up for our newsletter and be the first to know when we launch new products.